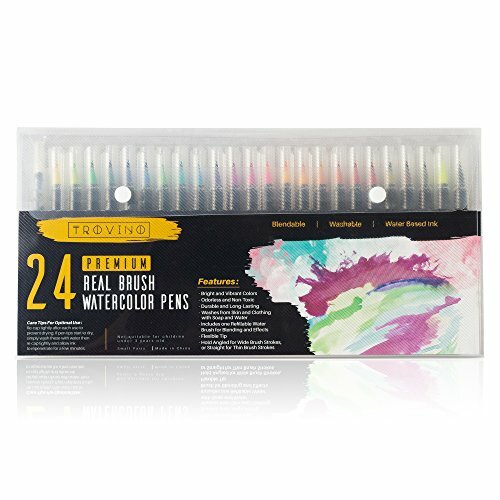 UNLEASH YOUR CREATIVITY: use Trovino Premium Real Brush Paint Pens to create subtle and engaging watercolor effects, or use without water for vibrant dry-brush painting, coloring, sketching, drawing, calligraphy and more. 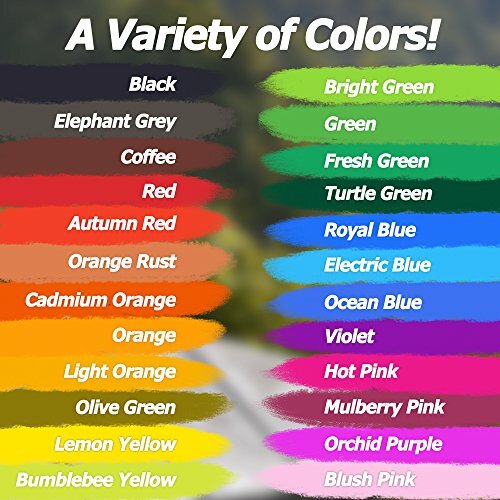 24 BRIGHT AND VIBRANT COLORS: Each set of 24 colored Paint Pens also includes a refillable Water Brush for helping you create even more blending effects if desired. 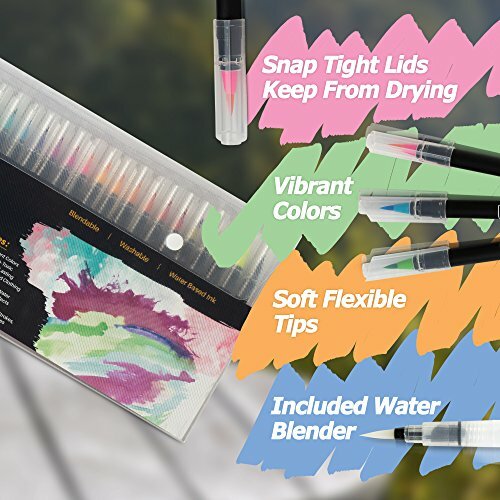 A MORE VERSATILE PAINT BRUSH SET: Each durable Paint Pen comes with a soft flexible tapered nylon brush tip which can be used to create a huge variety of brush strokes including thin lines, shading, gradients, watercolor effects, and more. 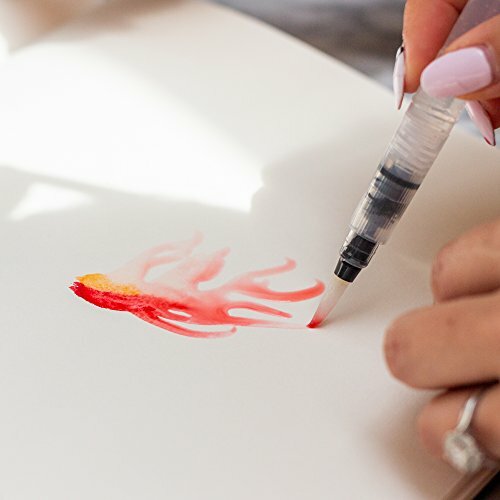 Hold angled for a wide brush stroke, or straight for a thin brush stroke. 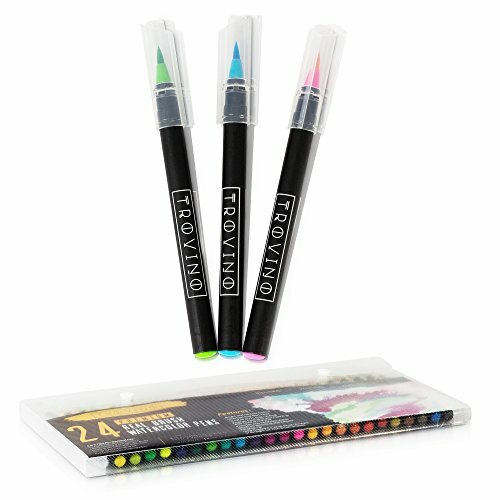 Hold Paint Pen tips against each other to create even more colors and gradient effects. 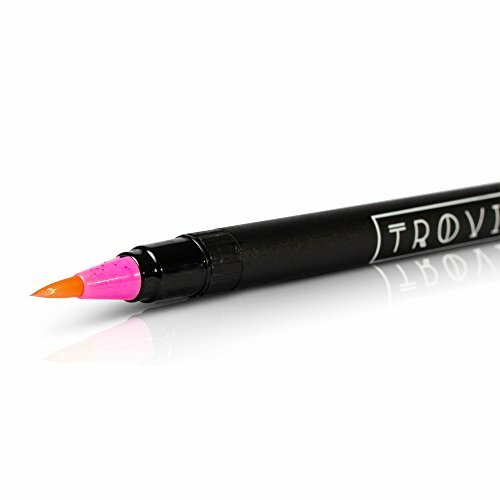 MESS-FREE, EASY CLEANING: the water-based ink in our watercolor Paint Pens can be washed from your skin and clothing using regular soap and water. 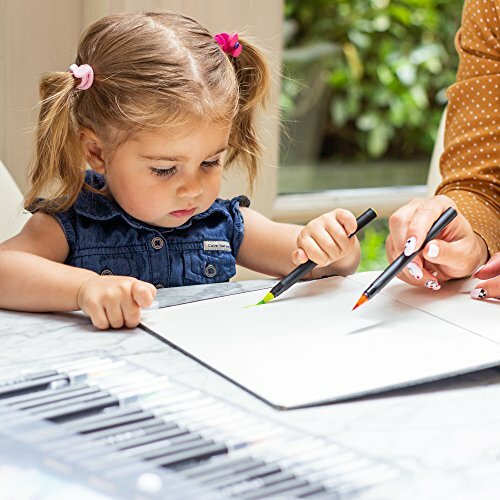 FAMILY-FRIENDLY, PEACE OF MIND: 100% safe, odorless, nontoxic, acid-free and conforms to strict ASTM D-4236 safety standards. And rest assured, if you're not satisfied for any reason we'll provide a replacement set or return it for a full 100% refund at no extra cost to you.